. :|- Dive Dive - Official Band Website -|:. Contact Music review Potential. We're humbled by the props, yes we are. 9/10 from respected UK rock magazine Rocksound. Thanks, Rocksound! A 4K review in the ultimate rock magazine Kerrang! Music OMH review the album. I really like this review. So there. 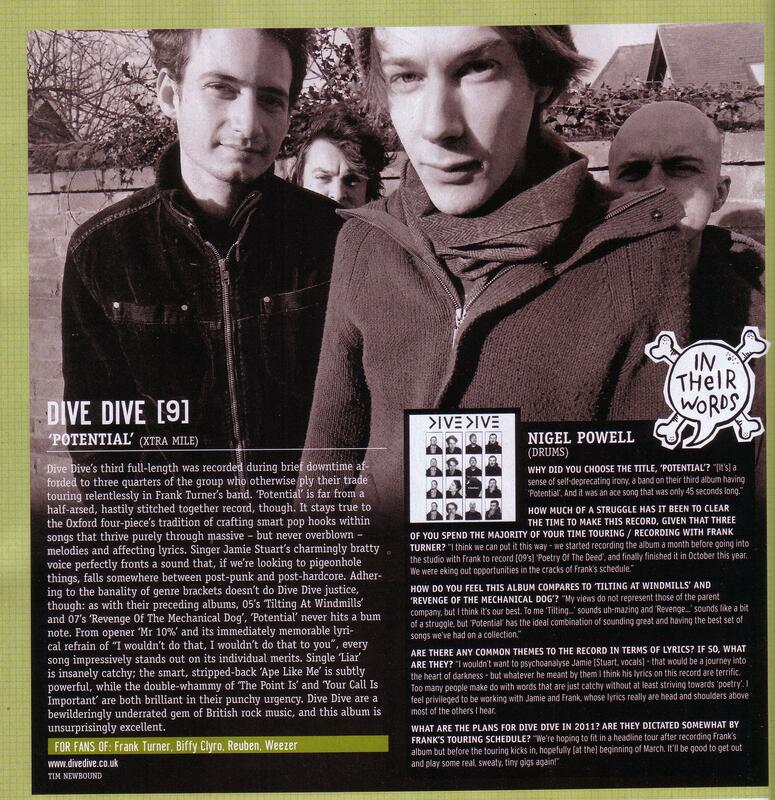 A 2007 review from when we first went out supporting Frank Turner on tour. Repeat Fanzine let us know what they thought about our support show. It's buried in there somewhere at Losing Today, a nice paragraph about us and our old single Good Show. From the Leeds Music Scene website, another historical document.